Want to add a personal touch to your next party or event? 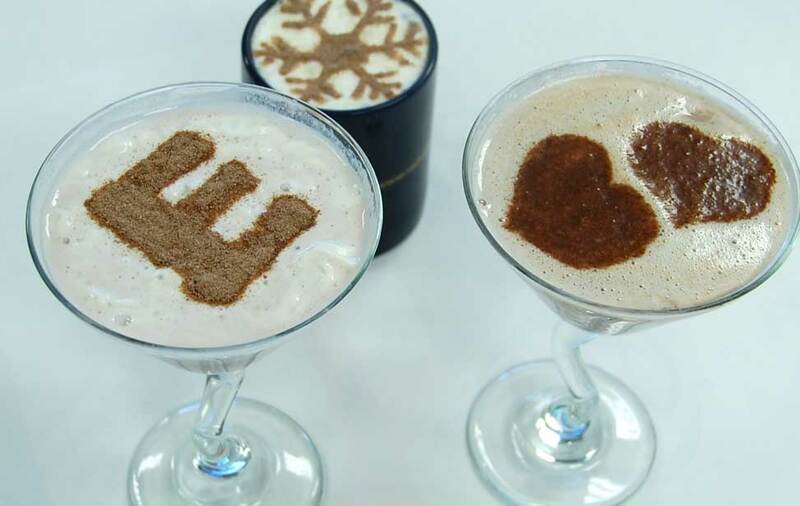 Check out these festive drink stencils for an added bit of fun. Made from simple laserable plastic, these laser cut stencils will make any drink that much better! Note that these stencils are designed for drinks with whipped cream and/or foam on top. 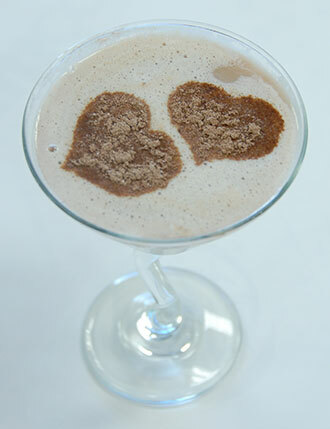 If you try to sprinkle cocoa powder or colored sugar directly into a drink it will dissolve immediately. The added foam or whipped cream gives the decoration something to adhere to. 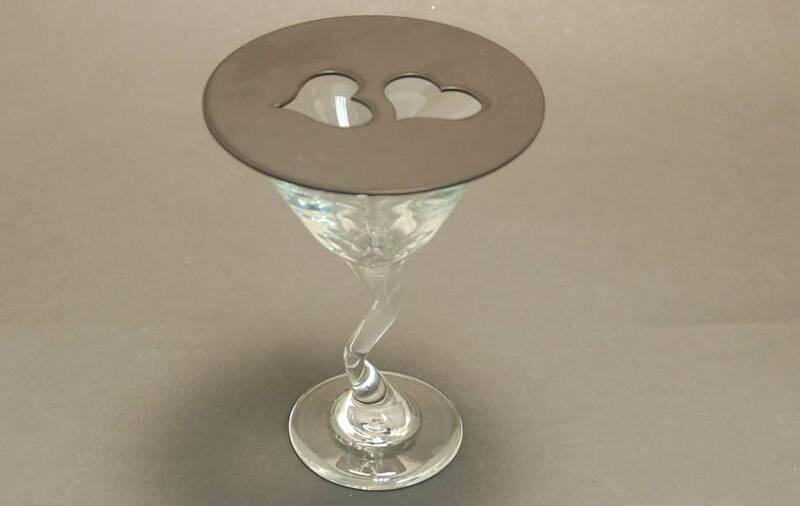 Drink stencils add a special touch to any party! Here is a finished stencil ready to be used. 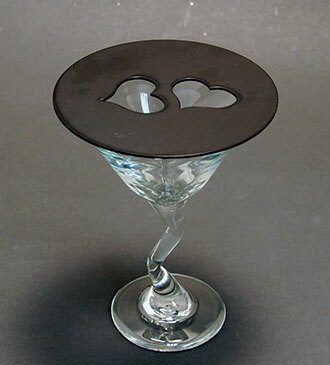 A laser cut plastic provides enough stability to create a great looking stenciled drink! Laserable plastic or acrylic. Something durable that can withstand a lot of handling/washing. We used a 50-watt Helix with the following settings: 30% speed, 60% power, 5000 frequency. Open the file and make any modifications to the design that you would like. Send the job to the laser to be cut. After the pieces are cut, rinse off any residue or debris prior to using. 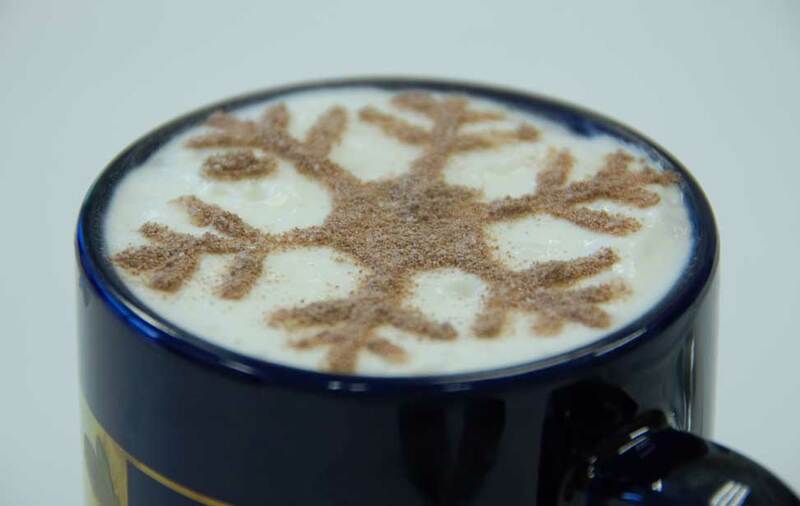 Once you've made your desired drink, place the stencil on top of the glass or mug and then sprinkle on cocoa powder, colored sugar, powdered sugar or whatever material you're using to accent the drink.